EPDM rubber building products were developed in the late 1950's, specifically for the use in the construction industry of Middle East. The climate in the Middle East required a construction product that could withstand large temperature fluctuations. The product had to be flexible and remain stable at temperatures between -45 and +120° C. EPDM rubber turned out to be a very suitable product for this market. The characteristics of natural rubber (very good elasicity, expansion, good cold-flexibility, tensile strength, poor heat resistance) could not be adapted or manipulated. However, with a synthetic rubber product the scientists can select, adapt and modify the base products to determine the molecular structure. This enables them to design the construction of the polymers. The result of such manipulation means that synthetic rubber can be made to measure and its characteristics precisely adapted to the specific use and its particular requirements. These improved characteristics of EPDM synthetic rubber products include: excellent stability against influences of weather, sunlight, ozone, acids and caustic solutions. EPDM rubber also has long lasting flexibility and elasticity to eliminate cracking, good tensile strength and a very broad temperature range. EPDM rubber has an outstanding resistance to ageing and is designed for use anywhere these special characteristics are required - from windows and door seals in the automobile industry to the waterproofing of flat roofs, garden roofs, ponds or basins, in other words most waterproofing applications. In the mid 1960's DSM Netherlands started to develop and produce the raw material EPDM, with KELTAN as a brand name. DSM then started looking for a producer who could convert this raw material into a EPDM sheet that would be suitable for the construction market. 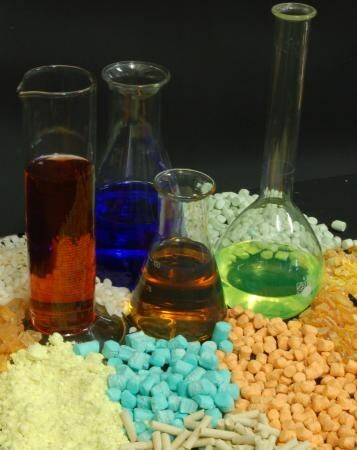 HERTEL (the former mother holding of HERTALAN®) had experience in this type of process and together with DSM they developed the current HERTALAN EPDM sheets. The name HERTALAN is therefore derived from the combination of HERTEL and KELTAN (= HERTALAN). Hertalan Rubber Products dates back to 1895, when it was under Hertel's wings. HERTALAN® has been producing EPDM membranes since the nineteen-sixties. That makes HERTALAN® Europe's first and still the Benelux region's only producer of EPDM rubber roofing systems. The EPDM sheets HERTALAN® produces is a so called homogenous EPDM sheet, an elastomer sheet without reinforcement. For over 50 years roofs in Europe, America en the Middle-East have been successfully waterproofed with EPDM materials. Research has shown that the test values of EPDM rubber on these roofs exceeds the expected standards. The German SKZ in Würzburg states that the active ingredient EPDM has a long service life of over 50 years. This is a guarantee for a durable and waterproof flat roof sealing. Independent studies by institutions such as the NIBE shows that EPDM roofing for flat roofs is the most environmentally friendly choice. EPDM is installed without naked flame, is recyclable and has a very long life span. Hot-bonding is a technique in which EPDM rubber sheets are be connected to each other, to create a membrane with considerable dimensions. This process is called vulcanization and occurs under Time, Pressure and Temperature. Solely under these conditions a vulcanizing (hot-bonding) of a seam is realized. 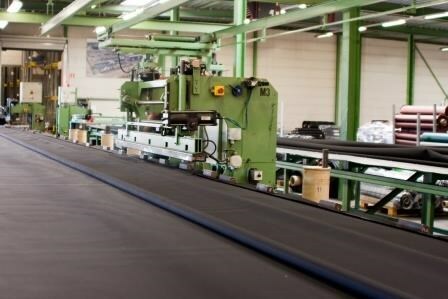 In the production process, first EPDM rubber are vulcanized in hot air ovens, this is in rolls of 1400 mm wide and about 170 meters in length. After cooling these rolles are rolled out on a large table, and then presses connect the two sheets together. Again, the temperature, time and pressing pressure is decisive. HERTALAN® has a total of 8 membrane tables to produce EPDM membranes. Each table has access to two presses.